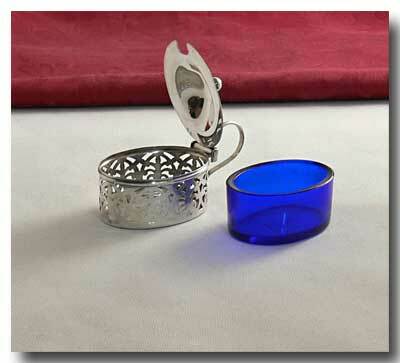 Collectivator :: Roden Bros. Sterling Silver Open Salt Cellar/Mustard with Blue Glass Liner & Sterling Spoon. 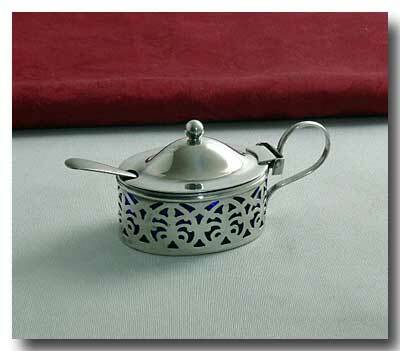 Antique Roden Bros. Sterling Silver open salt cellar/mustard with blue glass liner & sterling spoon. 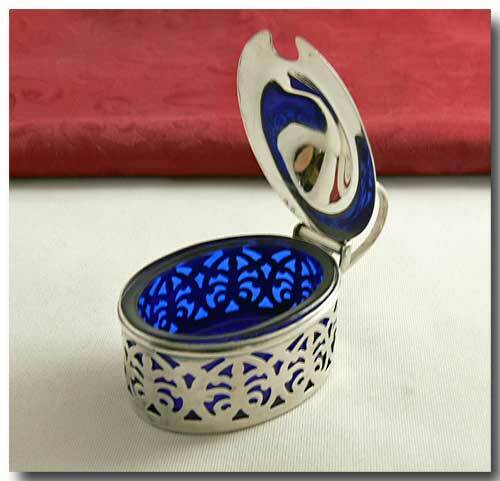 Size Approx: 1 inch H. x 2 inch.without handle L. x 1 ½ inch.W. Marked: Cellar/Mustard- 925 R (with Lion image) 43 & Sterling. 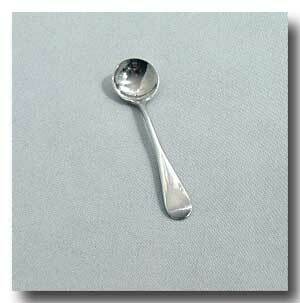 Spoon: Birks Sterling.